Above: Medibank Place by HASSELL. Photo by Peter Bennetts/Earl Carter. Following last week’s wrap-up of 2016’s most popular interiors, here we take a look at the year’s most popular architecture projects. Elenberg Fraser’s Abode318. Photo by Peter Clarke and Jeremy Wright. “From a distance, the building appears to ripple and bulge, while close-up the individual apartments become legible. 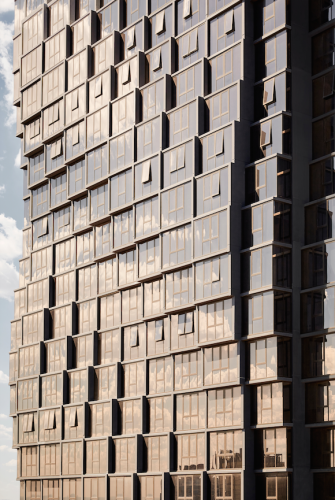 The undulating form has a performative effect by minimising the wind downdraft at street level.” In May, AR spoke to Caleb Smith of Elenberg Fraser about the architecture studio’s golden tower, Abode318. 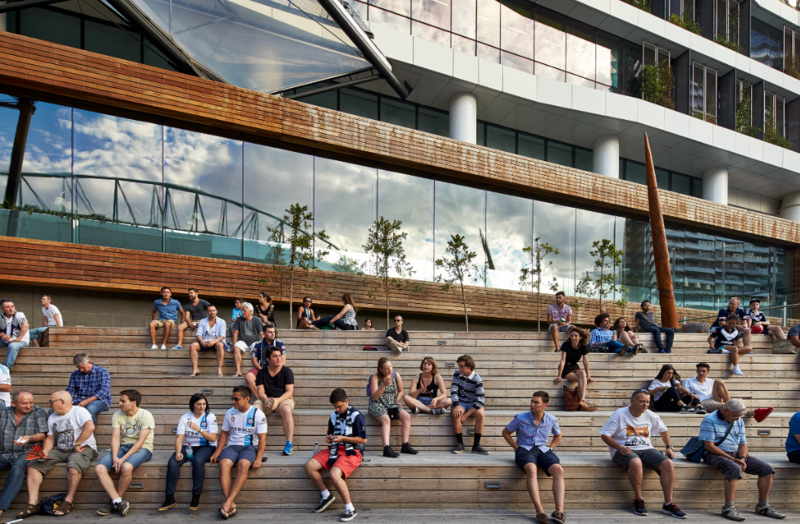 The future of public space is playful, and HASSELL‘s Medibank Place is just that. Including green spaces bound by timber seats and decking, and stepped topographical structures, the landscape brings an organic textural diversity to an area laden with concrete, becoming a destination in its own right and offering respite from the surrounding offices. Connect Parkville by Steffen Welsch Architects. Photo by Rhiannon Slatter. 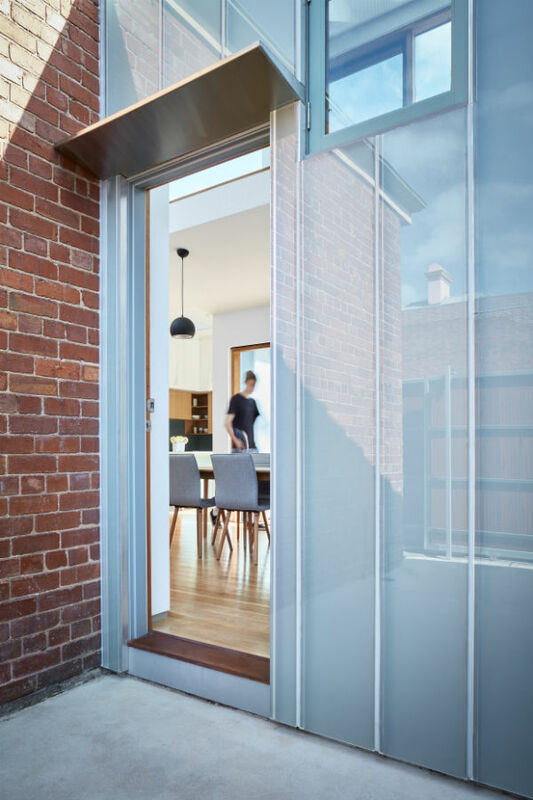 In this project, Connect Parkville, the architects explore the idea of stitching together the urban fabric through the insertion of ‘quiet architecture’ for a new family home in Melbourne. 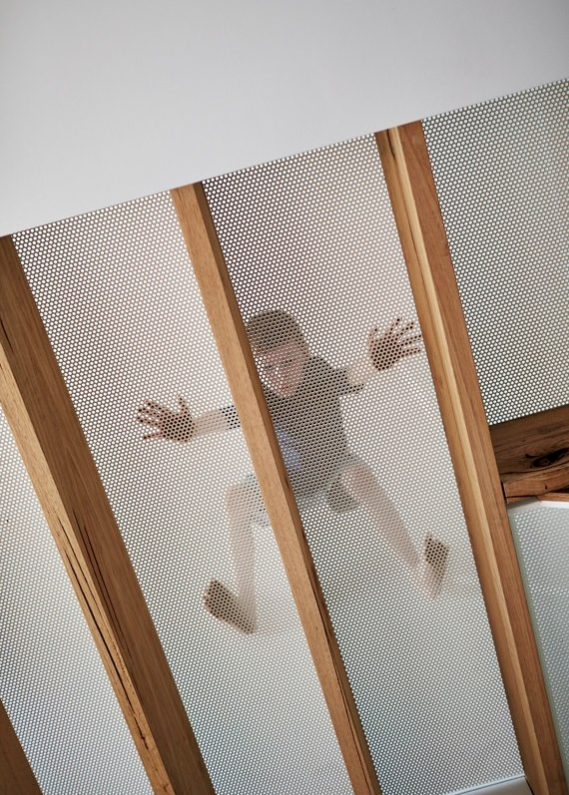 The home features a skin is made from an obscured glass and effectively uses layers to bring all the necessary elements together: program, built form and materials. With the ever-increasing clutter of a newborn baby to consider, the owner of the Mills house in Melbourne approached Austin Maynard Architects seeking a considered and unique solution to storage in the home. ADR explored the home’s innovative storage solutions back in February, including the floor which has been cleverly fashioned into a giant toy box. Austin Maynard’s Mills house. Photo by Peter Bennetts. The Guesthouse in Brunswick was built by RMIT students, Christof Mayer of raumlabor.berlin and the local migrant community in order to highlight the migrant experience while creating a place of welcome through architecture. Dr. Caroline Vains, lecturer and project leader, discussed the project with ADR, detailing how it began, how it was executed and how it sought to become a catalyst for inclusion. Last year, a fire tore through Victoria’s Great Ocean Road region, destroying 116 homes. One home that escaped the blaze, however, was a construction built by Modscape. Almost six months on from the blaze, ADR spoke to Modscape’s Director, Jan Gyrn, on the design of the home, its successes and what has been learnt. Our most-clicked architecture project of the year was a flat-pack, off-grid tiny home designed by Big World Homes, developed to offer a revolutionary solution to Australia’s housing affordability crisis. “The first of its kind in the world – the Big World Home is portable, completely off-the-grid and can be built by two unskilled people in just a few days using only a hammer and a drill,” explains architect Alexander Symes.